It’ summertime! Time to pack up the vehicle and head out into the great unknown. Whether it’s a quick trip over the river and through the woods to grandma’s house or a cross-country drive to a new destination, there are several steps you should take to stay safe on the road. Here is a list of four simple things you can prepare to ensure safer travel. Check your tires to ensure they are in good traveling condition. Worn tread, tire baldness or bulging could mean big trouble on the open road. Know how to check the basic function of your vehicle. 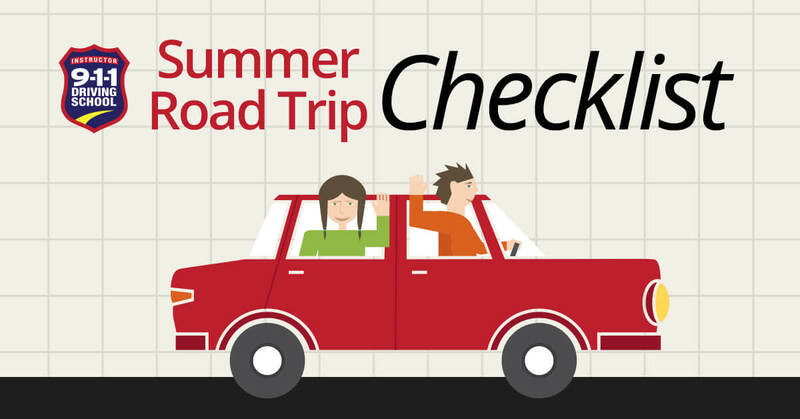 Check the oil, windshield wipers, antifreeze levels and all lights inside and outside of the vehicle before the trip. Prevention is always the best answer. When going cross-country, or on an unfamiliar route, plan your gas station stops well. No one wants to run out of gas in the hot summer weather. Drive defensively. You probably drive safely, but that doesn’t mean the other drivers will. Expect the unexpected. Always keep your eyes on the road, never text or operate the GPS, and do not let others in the car distract you from your greatest responsibility- Arriving to your final destination safely! Always remember to buckle up, and never drink and drive. Have a fun time on your summer travels. For some driving techniques, visit https://911drivingschool.com/ before you head out on the road.